A different aspect of Peloponnese is presented in the Western part of Peloponnese, this full of miracles peninsula that is divided into magnificent smaller regions and each and every one offers to the guests a completely unique experience. 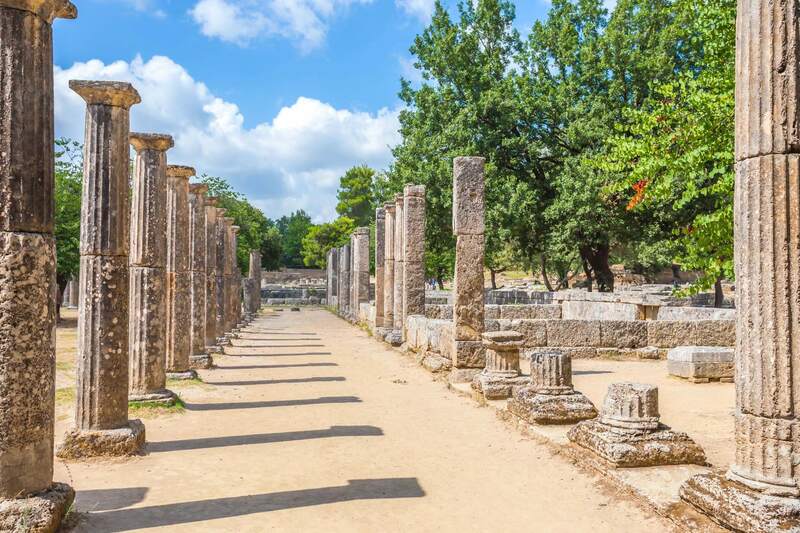 In the Ilia region, you will visit the legendary Ancient Olympia, where the first Olympic Games were settled. Until today the Olympic Flame starts its journey in Ancient Olympia to travel through the countries and announce this global event of peace and athletic spirit. On the first day, you begin from Kakovatos beach. An exotic, sandy beach with turquoise waters very long to explore and bright enough so you never feel that it is crowded. Start with a refreshing swim in the sea and it would be a nice tip to grab your breakfast with you and to enjoy it on the beach taking your time and appreciating all of the magical images the place offers. Then, after spending a couple of hours there, take the road to Andritsaina village. 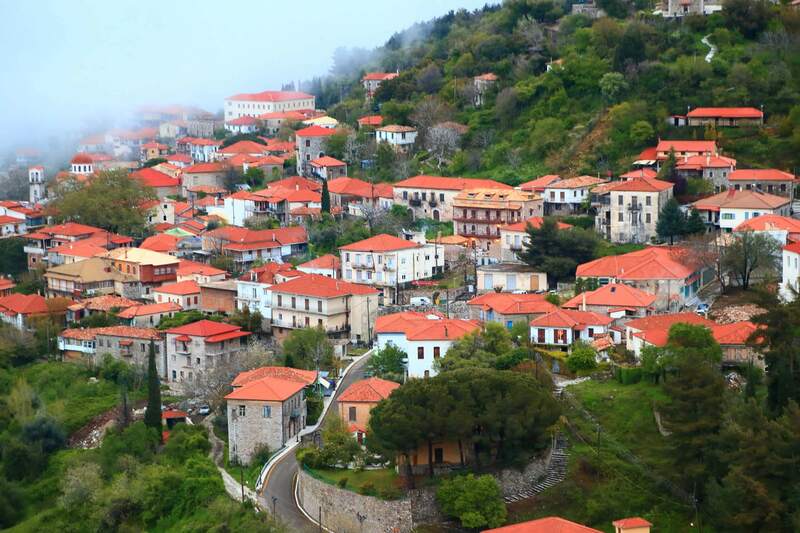 It is a well-known village Greeks and famous for the picturesque houses and the stone made squares and buildings around. If you would like to get the whole picture of Peloponnese, then you have to visit at least two of the many villages of its mainland. They preserve a local, folklore element like nowhere else in Greece and keep the traditions in many habits of the everyday life like the food and the coffee. Relax under century-old trees with local people and try to mimic their way of lay back and enjoy every single minute of life. Kaiafa Lake is your next destination. In the lake, a tiny island is a place where the hot, natural springs are. The springs consider having therapeutic faculties. Therefore every year there are many who are visiting this place to heal their bodies. Greece has numerous springs to all of its corners and Peloponnese couldn’t be an exception. A perfect way of relaxation and rejuvenation through your journey and a lovely memory that you will gain, especially if this is your first time in such a place. You can continue later in the noon heading to Krestena village. A beautiful village that seems as if it was planted on the slopes of the hill. Nicely built houses and small coffee shops will cheer you up and will give you one good reason to stay for a while around. Peace and the sounds of nature are the values that you are going to experience the most. Have lunch to one of the traditional tavernas there and also have one of the best meals ever served to you with local products and traditional recipes. After finishing your lunch you will be very close to the Ancient Olympia. That would be the right time to visit the hotel that you have booked and leave your stuff there so you can continue in a short of time your expedition. There are several nice hotels in the area and one is Arty Grand Hotel right in the Olympia town. Built on the hill above Ancient Olympia exhales the good taste and the high aesthetics. With spacious, modern rooms and spa facilities, it will be an oasis after so much of walking and wandering around. The external pool offered for a dive in its cooling waters and laying under the shade of your umbrella will relief you for sure. As an alternative choice, you can spend your first night at Bacchus hotel. A boutique hotel with unique decoration and architecture and a large veranda for endless sunsets, that is a great choice among Peloponnese hotels. It is a two level stone mansion that combines luxury, modern comforts, friendly atmosphere and promises to you particular gastronomic enjoyments. Either you choose to stay here or not, you can visit its restaurant in the evening and try some amazing food delicacies under the starry sky. Nevertheless, if you are looking for a completely different experience there is a brand new accommodation placed…on a tree. Kotsifas Estate Treehouse is a place looks like came out of a fairy tale. Built on tree branches and made out of wood, it is a magical place to sleep and hear nothing all night long than the night air through the leaves. Something new to experience! On the second day, start early with a delicious breakfast and some of the freshest ingredients that you have ever tried. Enjoy the morning breeze and the quietness of the area and take some deep breathes so you can feel the Greek nature in your soul. You are now moving to the historical city of the Ancient Olympia. 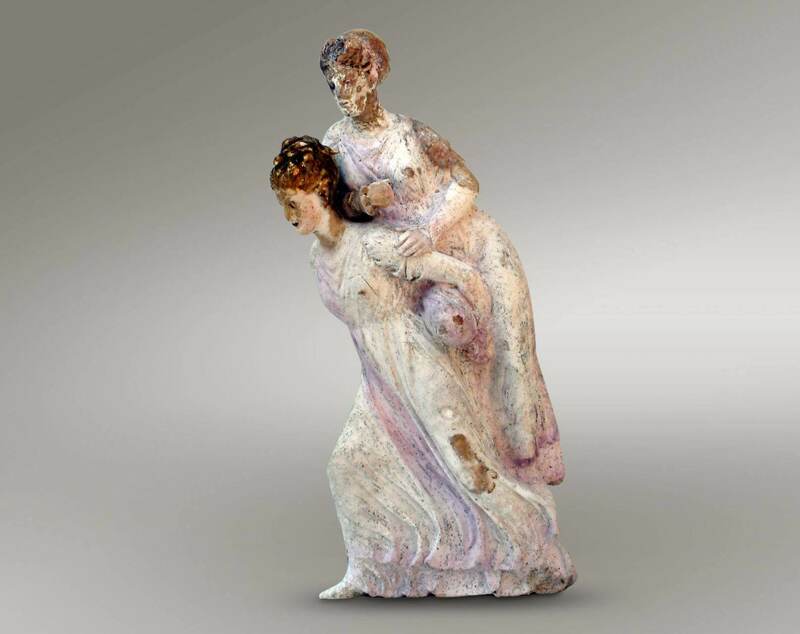 Before that though, it would be wiser if you first visit The Museum of the History of the Ancient Olympic Games. Too many information about this global event that lives on and on even after the passing of the hundreds of years and still is a huge worldwide issue. 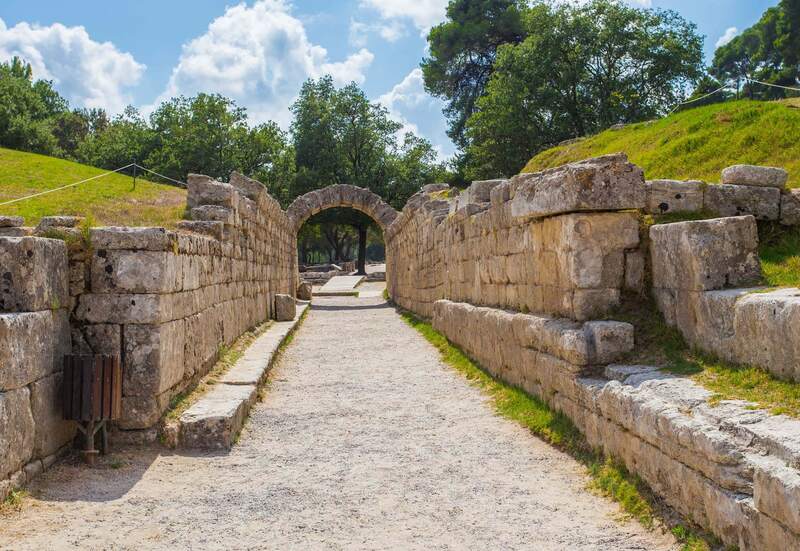 Afterward, you may visit the ancient city ruins and the place where the Olympic Flame begins every 4 years its journey. A true revelation! As you travelling to Pyrgos city by taking the highway, one of the most important and biggest cities in the region, take one street on the right and visit one monastery of the area The Monastery of Panagia Kremasti. The building of the monastery stands majestic and lofty, essentially hanging from an enormous rock at an altitude of 334 meters. The view is amazing and the hill full of green trees and bushes. Since you are in a region famous for its perfect wines, there is nothing better to visit a local winery and try some of the best wines of Peloponnese. Merkouri Estate is a wonderful old farm with a history of 140 years in wine production open to the people until 15.00 in the afternoon. Spend an hour or more there and continue to one of the most famous beaches in Ilia, Katakolo. Alternatively, you can go to Kourouta beach. Both are extremely long and sandy with crystal clear waters and some of the fanciest and hip beach bars in Peloponnese. The food and the local fish taverns are equally great and maybe you should try to sit right next to the waves so you can enjoy all the view and the sea wind. 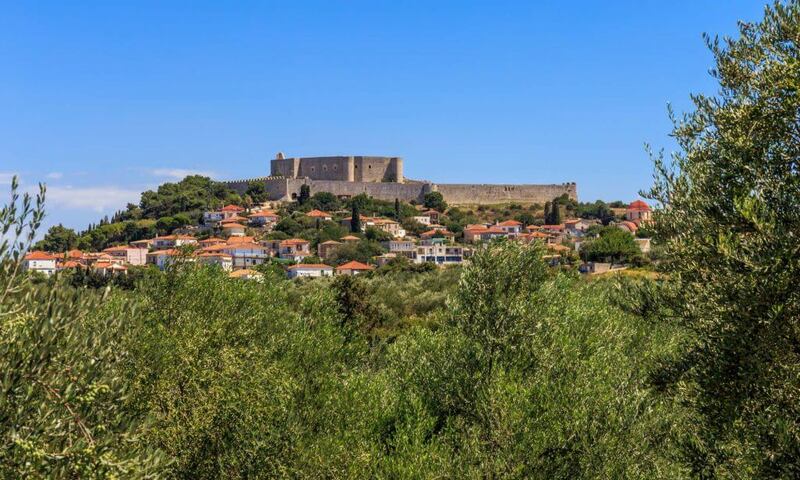 Another historical place to visit is the Chlemoutsi Castle in Kyllini. Chlemoutsi is a medieval castle a fortress, was built to protect the invaders from other parts of Europe. Today it is abandoned and has been turned into a tourist attraction. When you feel that you have wandered enough, travel to the next hotel that you are about to spend the second night. Grecotel Olympia Riviera Thalasso is one of the greatest choices in Kyllini area well known to the international jet set for its facilities and amenities and the excellent services. In front of an amazing beach and with a great range of sports facilities like tennis, an external pool and many others offer plenty of relaxation and joy. Furthermore, Olympia Golden Beach Resort & Spa in Killini Ilias ιt is one of the most luxurious options for holidays when you are visiting Peloponnese in Greece. High aesthetics and taste gave birth to one of the most beautiful hotels in the peninsula with all the luxury services needed for an all in all great value for money vacations. To end this journey you can have dinner and some Greek drinks in a nice restaurant in Arkoudi beach called R.Q.D Restaurant. One of the Peloponnese restaurants right next to the waves with a lovely view to the Ionian sea you will have some special moments there that you will never forget. A trip to the wildest part of Peloponnese has come to an end and it is about time to return to your start point while you keep on researching and discovering the Greece’s treasure. Either way, now you have come a bit closer to the history that you already knew and read about but never experienced yourself.